8 Second Ride loves playing. Thanks to all for the opportunity to play for you. It is a blessing to be able to do what you love. Music touches all of us somehow. Est. Nov 1988! 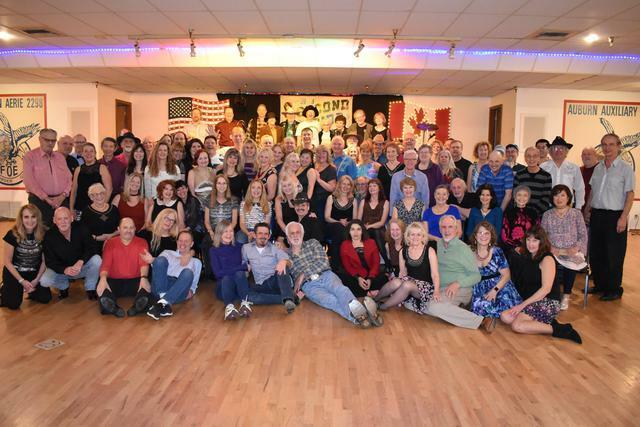 HOME OF THE NORTHWESTS BEST COUNTRY DANCE BAND!. I am still trying to find a place for our Sunday live music dance. Even for just once a month. It is proving harder that I thought it would be. Of course, it needs a decent dance floor and a willing venue. Some have great floors but not the will to try it. As a band, to a venue, it appears, we are just looking for a gig. Perhaps our Sunday dancers can help, by reaching out to the venues. 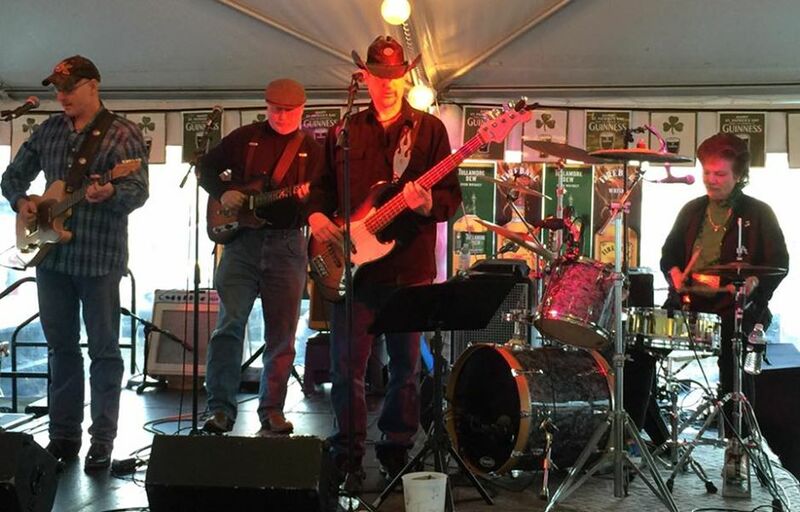 The AUBURN EAGLES plan on returning to live music on Sundays when they reopen in their new home. But, we don't know when or where yet. Or if if the Sunday dance will be every week. A new venue may wish to keep a week. At Auburn Eagles plans fell through, they are now hooked up with a commercial real estate group and looking hard. Stay connected with us and here and on facebook. Auburn Eagles also has a facebook page to help keep up. Chris has the licks to cover many styles of music and plays them all superbly. With smooth vocals and sweet harmonies, brings a wholeness to the band. You may have already seen him filling in for us. We had sooo many compliments we just had to have him! Dates are being added all the time, so save the schedule page in your favorites! Book ASAP to guarantee your special date is a lock. 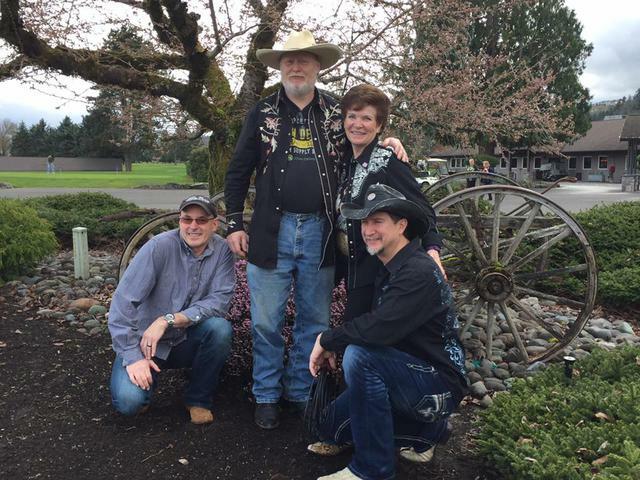 Remember, 8SR is very one of the most versatile country bands in the northwest. 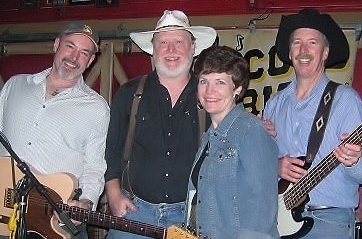 We do old country, mid and new country and oldies rock. Even a dab of blues. If you need something special, be sure to let us know. Certain clubs, parties, etc.., require different songs. We play to make sure the event is a success. 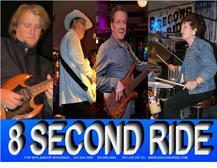 Siri tells me 8 Second Ride has been the Dance Sundays house band for 21 YEARS! Please know that each of us in 8 SECOND RIDE loves & appreciates every one of you. It is a special gift, that you allow us to be part of your life's and let us do what we do. We are filling up the calendar! First come first booked! Happy to say, filling' up fast. Yes, we do -do private parties. Now booking !! The first week in May we will be busy On Wednesday May 1 we will be at the ANGEL OF THE WINDS CASINO fm 7-10. Friday the 3rd at THE FLOATATION DEVICE in Purdy and Saturday night, possibly our last gig in the old building at the PUYALLUP EAGLES. 8P. For those who want to know when we will return to The GREEN RIVER EAGLES (better known as the BLACK DIAMOND EAGLES​ it appears to be May 19th. Put us in your favorites and pull us right up. We are adding dates all the time and the calendar is constantly evolving. Book a bbq with us! ps. you cook! 8 SECOND ROCKS!!! We have a great time playing oldies rock and some blues. We can help you out in this area also! If you know of a venue that needs country music new or old or even oldies rock, let us know & let them know about us bands. As you may have noticed the club market for live country bands is tight & all the musicians appreciate your support. And if you want a live band for your birthday party, BBQ, wedding or just for the heck of it, call the bands. Prices vary & live music makes for a great time! Do remember that AUBURN EAGLES and the other Fraternal lodges need to have you sign in if you are not a member. If you frequent these places please consider membership. They all do great charity work, support scholarships and work closely with local causes. They do have limits on signing folks in (by law) and may have to refuse entry after a number of visits. Membership is not usually expensive and your membership helps support them. Participation in things are by choice and will not be forced upon folks. Support them as they book your live dance music, host karaoke, host DJ nites, shows, bingo and put on dinners. You will meet new friends!! Do good things --join them!!! Needa dance fix in the middle of your workweek? Come down Tuesday nites at the Black Diamond Eagles They have prerecorded dance music for you. Yes this is DJ Jan from Auburn Eagles doin his thing to keep your dance Tuesday alive. And he knows the songs to play. This is being done by your dance buddies, just $small cover helps with expenses. Dancetime is from 7:30 to 10:30. COME GET YER DANCE ON!!!! !